Perrine is the spokeswoman for House Majority Leader Kevin McCarthy (R-Calif.), and her job is all about saying the right thing. Whether she’s chatting with reporters in the press room during a floor vote, writing a news release or answering urgent queries on her phone, Perrine always has one thing on her mind: what would House Majority Leader McCarthy say, and how can she best represent him? Her passion for politics started early on, when she would march in parades with her grandfather, a city court judge in Rochester, N.Y. When she attended UConn, she majored in political science. And when the opportunity arose to intern with the external affairs team during the 2008 Republican National Convention, she grabbed it. She was coordinating thousands of volunteers across the Twin Cities, working 24 hours a day, when the convention nominated John McCain and Sarah Palin. 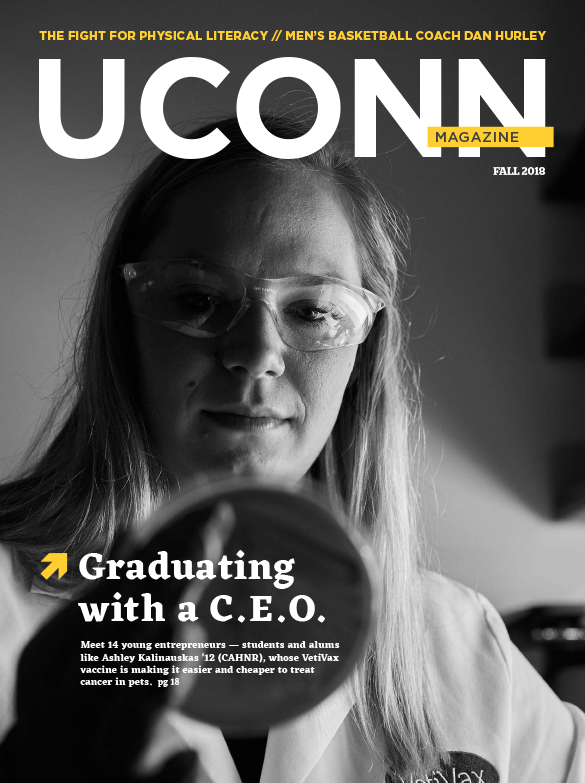 Perrine went back to finish her degree at UConn but stayed in touch with her boss from the convention. When she graduated, she moved out to Wisconsin to work on the campaign of future senator Ron Johnson. But when Johnson went to D.C., Perrine went back to New York. She took a position as a press secretary with the state assembly’s Republican conference, and ended up writing for five different members from very different parts of the state. You could say the state assembly is where her training on saying the right thing began in earnest. The former pharmacist from the western part of the state had very different priorities than the member from Long Island who was passionate about pension reform, who in turn was very different from the other three members, and she had to write for all of them. “In New York, there were about 100 Democrats to just 50 Republicans, so we got to be a bit more aggressive in our press strategies and writing because we wanted to make our voices heard and reach a lot of people,” Perrine says. The path from the New York State Assembly’s Republican conference member services to the office of the House Majority Leader zigzagged but never wavered. Over the next few years Perrine worked for now Speaker of the House Paul Ryan’s (R-Wisc.) campaign for office in Wisconsin, for a voter contact firm in Washington, D.C., as a deputy press secretary for Sen. John Thune (R-S.D. ), and as the press secretary of the Republican Senate conference. She says she never said ‘no’ to a job just because she wasn’t sure what she wanted, or because she’d have to move. Every job was an opportunity to become a better writer, to be a better communicator, to work more effectively with the press. Surprisingly perhaps, she says that working with the press has become her favorite thing. “The Capitol Hill press corps is full of the most passionate, funny, smart people I’ve ever met. 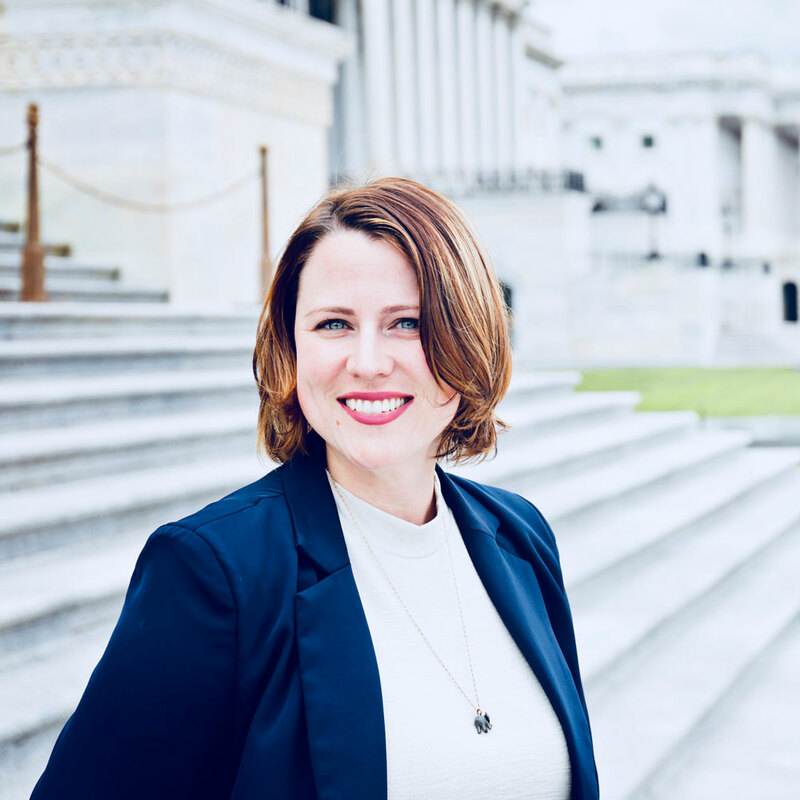 It’s great that every day I get to go up there and talk with them.” Perrine says that she and the Capitol Hill press talk about life as well as politics, and they’ve become close. A typical workday for Perrine starts at 7:30 a.m., when she arrives at the office and catches up with any news that may have broken overnight. If Majority Leader McCarthy has a morning TV news interview she’ll arrive earlier, at 6am, to prep so she can brief him at 7 a.m. and he’s ready to roll at 8 a.m., when T.V. morning news usually films. If he has an interview she’ll go with him. She also walks up to Capitol Hill with him and back. Reporters have unfettered access to him as he walks, and she’ll listen to what they ask and what he says. Anytime she’s not on her feet with McCarthy, she’s answering reporter’s questions by email, phone, or in casual conversations as they hang out in the back waiting room. When votes are done, she’ll be in her office, writing op-eds, pitching stories, and gearing up for the next day. And always thinking about what the House Majority Leader would say. The stress doesn’t get to her, she says. Not yet. Perrine doesn’t mention it at first, but there were some pretty hard days during the summer of 2016. Her brother Eamon Eric Callanan died of an opioid overdose. It was a terrible loss, less than a month before her wedding. But she kept it separate from her work life. Until she started to see House committees working on the opioid crisis. She spoke up, first quietly to the policy staffer in her office who worked on the issue. Then to her mother and her sisters. They all agreed she could step up, advocate a little more. So she spoke to her bosses. 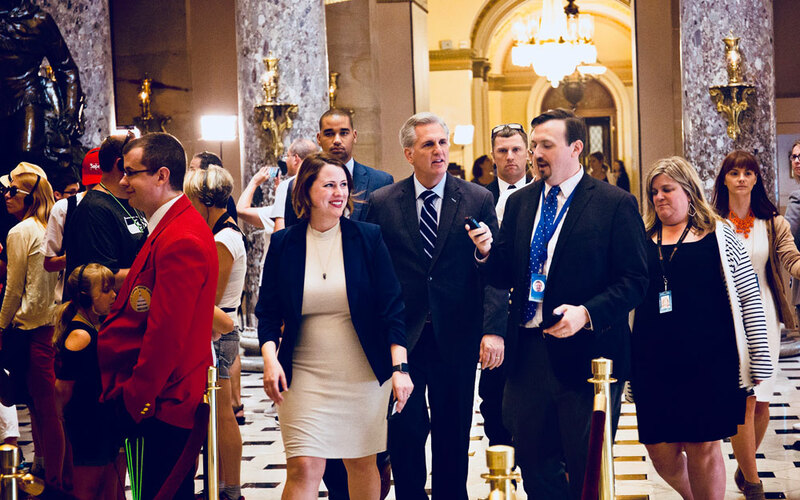 And on June 22 of this year, Majority Leader McCarthy stood on the floor of the House and held a picture of Erin Perrine’s brother. He said Eamon Eric’s name. He told his story. “He gave him a voice. Now his name is in the Congressional Record,” Perrine says. And when the bill containing a package of measures designed to combat the opioid crisis came to a vote that same day of this year, it passed with overwhelming bipartisan support. Perrine says she was worried at first about the stigma of having a family member die of drug addiction. “But I’ve been nothing but loved. I had members come up to me and thank me for sharing my story. And reporters. And colleagues. This legislation could have made a difference for my brother, and hopefully will make a difference for someone else,” she says. Once again, Erin Perrine has said the right thing.